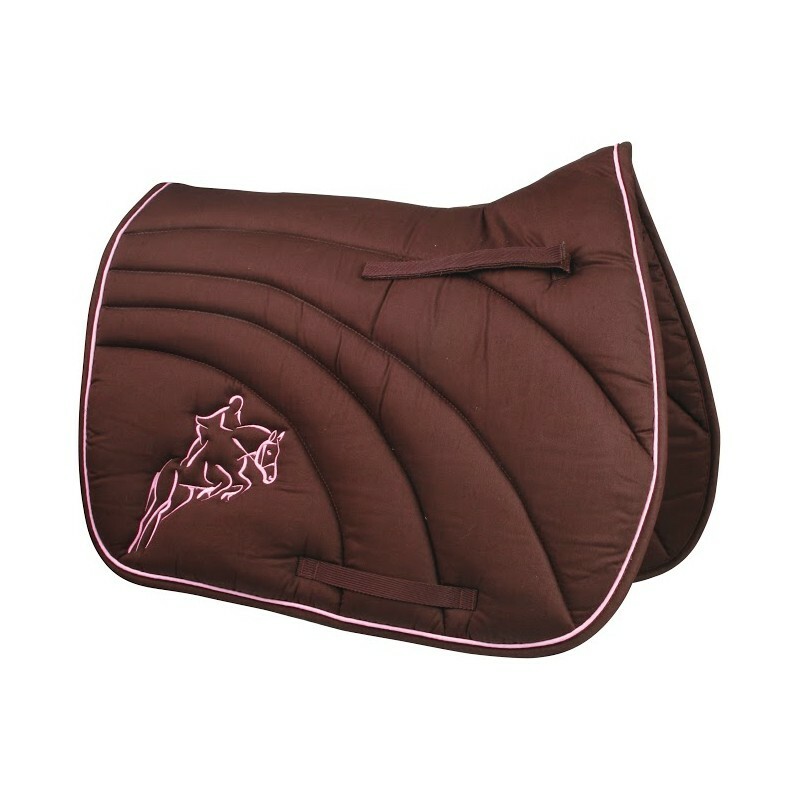 HySPEED Jumping Horse Saddle Cloth is a smart saddle cloth with contrast trim and a horse embroidered motif on the side. A durable high quality saddle cloth that is machine washable. Below are some recent questions we've received regarding HySPEED Jumping Horse Saddle Cloth, including answers from our team. Is the numnah brown or navy? It looks navy but the description says it's brown. The picture has now been changed on the website; it is in fact a brown saddle cloth.